A medicine cabinet in the bathroom is definitely not a good place to store medication. Because of the bath or shower, bathrooms can get both warm and humid -- conditions that can compromise the integrity, potency, and shelf-life of your medication. Instead, suggest to your patients or their parents that they keep their medicines in a cool, dry place especially where children cannot access them. Patients should not leave the cotton wad in the medicine bottle. The cotton absorbs moisture, which can affect the medicine. If your patient must keep medication in a bathroom, they should be sure the medicine containers are closed tightly. Likewise, if your patient must keep the medications in the kitchen, advise them not to store the medications near a stove, oven, sink, toaster or any other heat-releasing appliance. Provide your patient with information pertaining to the storage requirements of their medication. They can also check with their pharmacist. Inform te patient that special storage instructions are often printed on a label on the medicine container. Some medications require refrigeration. Advise your patient to keep all refrigerated medications together in a container in one location -- away from food and out of the reach of young children. Tell them they should not keep their medications on the refrigerator door. Also, your patient needs to make sure that their medications do not freeze in the refrigerator. Since some medications are not "heat stable", let your patient know that they should not stored their medications in a car. Even on a mild day, the interior of a car with its windows closed can reach very high temperatures. Patients must leave their medications in the original containers. They should not not mix different medications in the same container. This can pose a significant danger if there is a suspected overdose or other medical emergency. Inform your patient that she should check the expiration date of their medication. If there is no expiration date, she should discard it if more than six months have passed from when it was purchased. 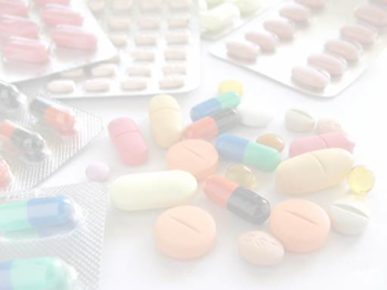 Patients should not take any medication that has a changed or unexpected appearance. For example, if the color or consistency of the medicine has changed, or if it has an odor, the patient should not take it. Likewise, recommend to your patient that he should discard any pills or capsules that are stuck together, broken, or chipped. In general, patients should not discard medication down their toilet. For most medications, the FDA recommends removing the medication from its container, mixing it in with unappealing garbage (such as coffee grounds or cat litter), and then placing the mixture in a sealed container. One or more of your patient's local pharmacies or hospitals may also offer a program or mechanism for them to safely discard medication. Note: Experts advise not to refer to the fake candy 'pills' as candy during pill swallowing practice, since swallowing real candy rarely triggers anxiety and the patient may not transfer the skill to real medication if he believes he is practicing on candy. In addition, most patients typically chew candy and medicine should usually NOT be chewed. Share the poster, Is It Candy or Medicine?, with your patient and the patient's parent. Click here to view the poster. It shows the similarities between medications and many well-known brands of candy. It is important to emphasize to both the patient and the parent that although the medicine may look like candy, they are very different. Copyright © 2010- North Shore-LIJ Health System. All rights reserved.